We’d love your help. Let us know what’s wrong with this preview of Ottoman Odyssey by Alev Scott. Alev Scott's odyssey began when she looked beyond Turkey's borders for contemporary traces of the Ottoman Empire. 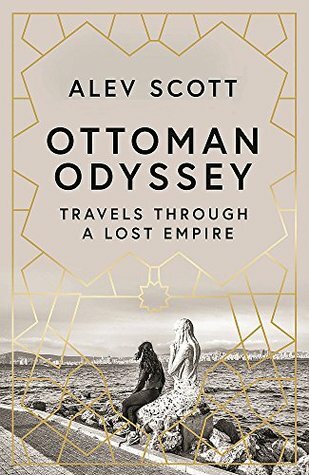 Their 800-year rule ended a century ago - and yet, travelling through twelve countries from Kosovo to Greece to Palestine, she uncovers a legacy that's vital and relevant; where medieval ethnic diversity meets 21st century nationalism, and displaced people seek Alev Scott's odyssey began when she looked beyond Turkey's borders for contemporary traces of the Ottoman Empire. Their 800-year rule ended a century ago - and yet, travelling through twelve countries from Kosovo to Greece to Palestine, she uncovers a legacy that's vital and relevant; where medieval ethnic diversity meets 21st century nationalism, and displaced people seek new identities. It's a story of surprises. An acolyte of Erdogan in Christian-majority Serbia confirms the wide-reaching appeal of his authoritarian leadership. A Druze warlord explains the secretive religious faction in the heart of the Middle East. The palimpsest-like streets of Jerusalem's Old Town hint at the Ottoman co-existence of Muslims and Jews. And in Turkish Cyprus Alev Scott rediscovers a childhood home. In every community, history is present as a dynamic force. To ask other readers questions about Ottoman Odyssey, please sign up. I really enjoyed this book. It was such a nice reminder of why I love Turkey - all that history. Scott gives it a fresh look by sharing stories of how the neighboring countries and cultures see Turkey now. It also gives one much to think about as they try to define where they belong, or where is home. Well written and interesting, but it did feel at times that things were missing. Possibly this was just that it was rather a short book for one with such a big premise. Certainly well worth reading.